Coming your way for a very limited time – a special summer treat worth saving and savoring! Gravensteins, highly treasured heirloom apples, are crisp, juicy and delicious, and yet for many reasons, are in danger of becoming extinct. 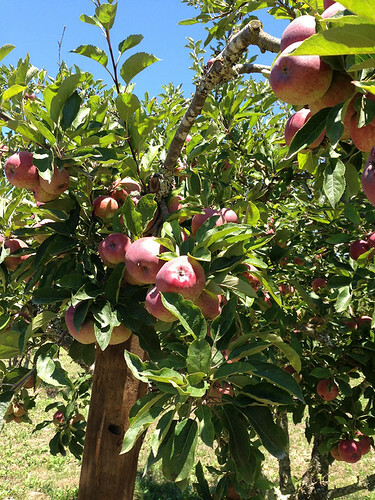 To read more about why they are on the Slow Food Ark of Taste’s list of foods in danger of extinction, see last year’s blog post Gravenstein Apples - A Labor of Love. 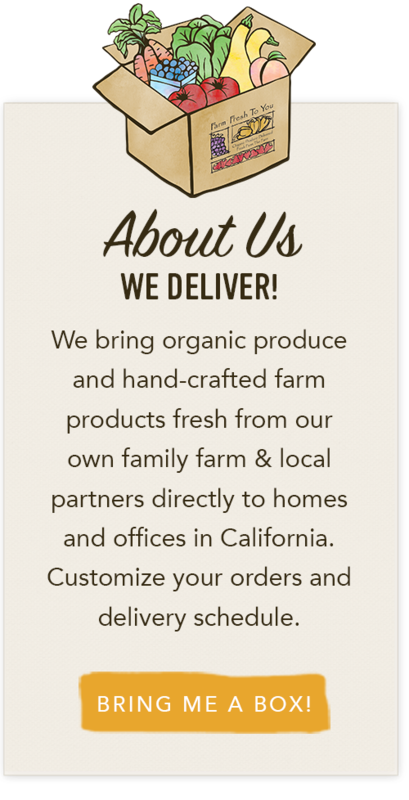 We are excited to partner with farmer John Kolling of Solana Gold Organics again this year. 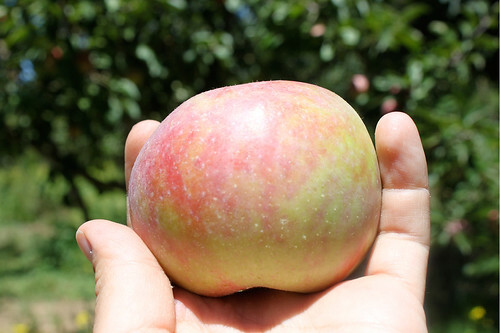 We admire his extreme dedication and care for the Gravenstein and his ability to fulfill our dream of finding enough of these rare apples to share with you, our CSA members! 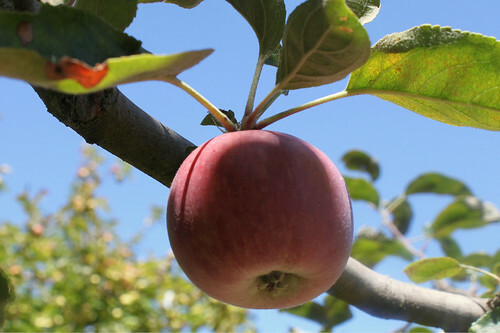 The Gravenstein is a “variable harvest” apple, meaning the apples do not ripen at the same time. They start off a bright lime green then transition to a medium orange color with faded red over-markings and then to a rich red. On a single tree, you might notice a variety of seven different colorations. As they mature the flavors become less acidic and a bit sweeter. Some of John’s trees are well over 100 years old, planted in the late 1800s. 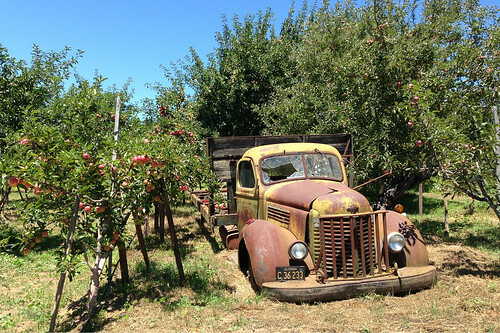 He has been tending to these orchards since the late 1970s. 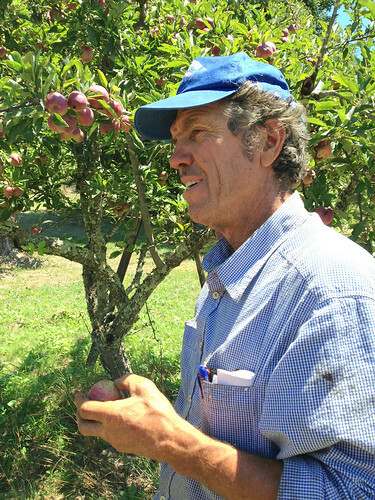 John grows on 81 very small parcels all over Sebastopol (in Sonoma County) tending to many different varieties of apple. Because this year is a heavy year for the fruit, the apples tend to be smaller. He says that this time of year is not a good time to sleep in the orchards because the apples fall randomly and make the night seem long! Gravenstein apples are more on the tart side, yet are sweet enough to eat out of hand. They are valued for their crisp and juicy flesh, sweet-tart juice and unique aroma of sweet honey and floral tones. They are perfect for baking because they hold their shape well. 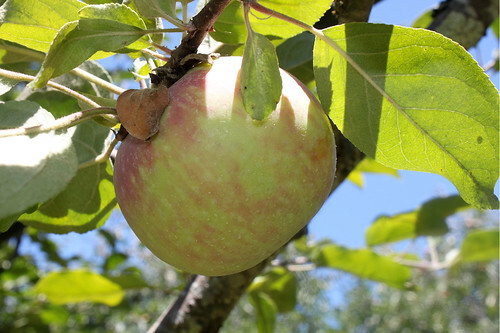 Their flavor intensifies when cooked – which also makes them great for applesauce or cider. The Gravenstein is delicate and quite perishable, which is one reason why they are only available for a short period of time. They also do not store well, so be sure to enjoy your apples within a week of receiving them. 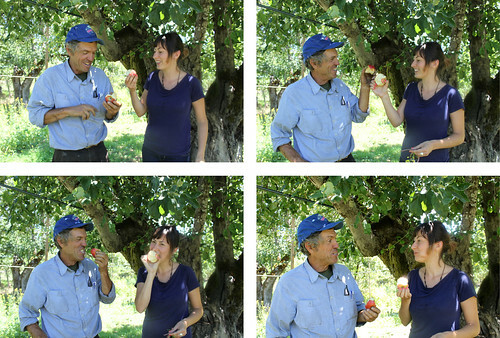 We hope you enjoy these precious, heritage apples. Thank you again to farmer John Kolling and Solana Gold Organics for providing these sweet treasures with us again this year! 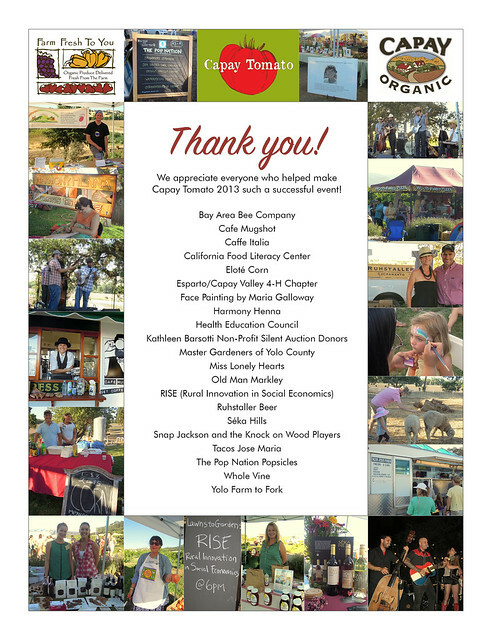 We cannot give enough thanks to these folks, our CSA members and local community for making our 6th Capay Tomato Festival our best yet! Thanks to you this event raised over $5,500 for the Kathleen Barsotti Non-Profit for Sustainable Agriculture. 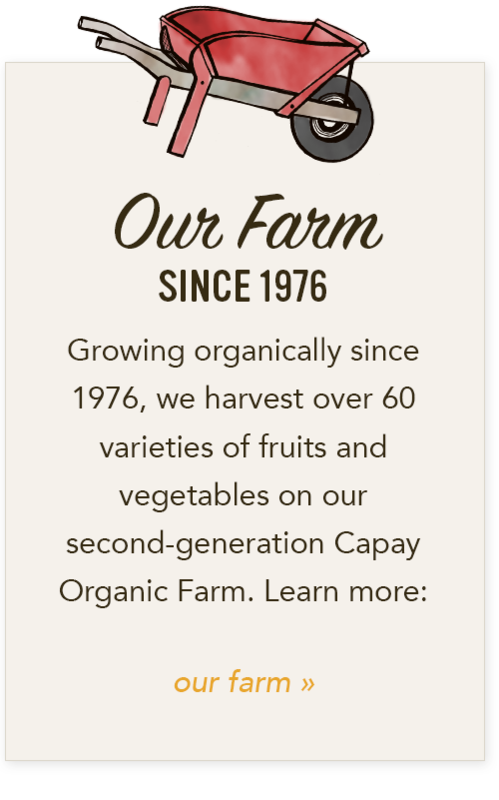 Please use the links below to check out some of the organizations, bands and delectable food artisans that made our Capay Tomato guests merry, deliciously content and informed! Those with websites are linked. All the Kathleen Barsotti Non-Profit Silent Auction Donors! !